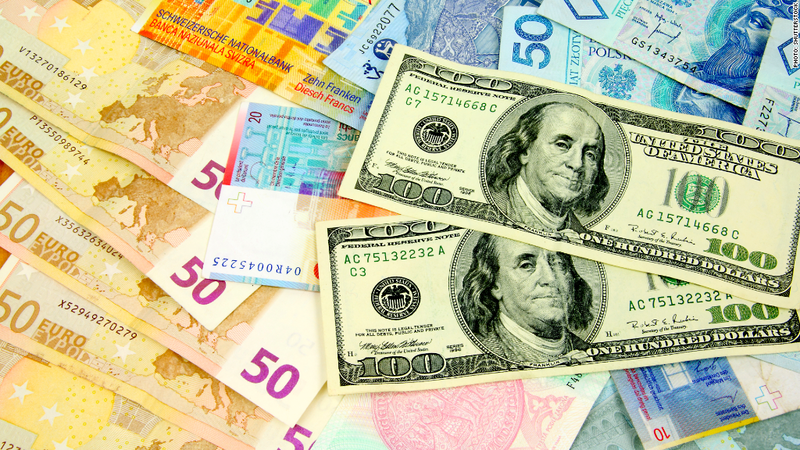 The WM/Reuters Closing Spot Rates service provides daily exchange rates for dozens of currencies. Regulators in the United Kingdom are looking into allegations that traders from some of the world's largest banks have been manipulating benchmark foreign-exchange rates to make profits on the backs of clients. Bloomberg News broke the story earlier this week, citing interviews with several anonymous traders who claim the practice has been occurring for at least 10 years. Chris Hamilton, a spokesman for the U.K.'s Financial Conduct Authority, told CNN that the agency "is aware of these allegations and has been speaking to the relevant parties." He declined to comment further. The controversy follows revelations last year that Wall Street banks colluded to manipulate Libor, a collection of global interest rates. The benchmark at issue in this case is the WM/Reuters Closing Spot Rates service, which provides daily exchange rates for dozens of currencies that are used by investment managers around the world for portfolio valuations. The quotes are also used by stock index compilers and for contracts of various kinds. Rates are published throughout the day, with closing rates set at 4 p.m. London time. The service is a joint venture between World Markets Company, a division of U.S. bank State Street (STT), and data provider Thomson Reuters (TRI). The rates are calculated based on market transactions conducted in the 60 seconds surrounding the various "fix" times throughout the day; for example, between 3:59:30 and 4:00:30 for the closing 4 p.m. rates. Traders told Bloomberg that by concentrating transactions in that one-minute window, they can move push the rates up or down by small increments, particularly with less widely used currencies. Banks execute trades in the foreign-exchange market for clients like companies and investment firms. Clients typically place advance orders in which they agree to buy a currency at the 4 p.m. WM/Reuters rate. To make these transactions profitable, traders try to buy the currency in question at a lower price than the 4 p.m. benchmark rate at which they've agreed to sell. Using knowledge of how pending orders are likely to move the market is part of this process, said Marc Chandler, global head of currency strategy at Brown Brothers Harriman. "Front-running orders is legal, and this competitive atmosphere sort of forces you to do that," Chandler said. But here's the controversy: Because the 4 p.m. benchmark rate is calculated in just a 60-second window, the traders interviewed by Bloomberg say it's easily manipulated via a process known as "banging the close." Colluding with counterparts at other banks, they claim, traders often execute large numbers of transactions during the measurement window with the aim of moving the benchmark rate up or down and maximizing profits at the expense of clients. "Acting legitimately in your own interest, that's what traders do," said Wallace Turbeville, a senior fellow at the public policy organization Demos and a former investment banker at Goldman Sachs (GS). "That's different from going outside what you normally do and making money by distorting things." Given the foreign-exchange market's largely unregulated nature, it's not clear whether the practice described would violate any laws. In response to the Bloomberg report, Sen. Carl Levin said Wednesday that the Treasury Department should reconsider its exemption of foreign-exchange derivatives from regulation under the Dodd-Frank financial reform law. State Street spokeswoman Noreen Shah said the process for capturing trade data and calculating the benchmark rates "is automated and anonymous, and the rates are monitored for quality and accuracy." Thomson Reuters referred questions to State Street. Among the major players in the foreign-exchange market are Deutsche Bank (DB), Barclays (BCS), Citigroup (C) and UBS (UBS). Spokespeople for those firms declined to comment. Even if manipulation is proven to have occurred, analysts say it would be very difficult to quantify the impact. Given the vastness of the foreign-exchange market and the importance of the benchmark rates, distortions would ripple throughout the economy. "In aggregate it hurts, but no single individual is made destitute by it," said Bart Naylor, a financial reform expert at the advocacy group Public Citizen. There's also the potential blow to trust in the marketplace, which has already been undermined by a number of financial scandals in recent years. UBS, Royal Bank of Scotland (RBS) and Barclays have reached settlements with regulators in the U.S. and U.K. over Libor-rigging in the past year, paying over $2.5 billion in fines. The firms admitted to manipulating rates to appear more credit-worthy and to benefit trading positions. Roughly a dozen other global banks remain under scrutiny over Libor-rigging, and three people have been arrested so far. In the energy market, firms including Shell (RDSA), BP (BP) and Norway's Statoil are under investigation from the European Commission over suspected attempts to manipulate oil-price benchmarks. There have also been reports that U.S. regulators are investigating possible manipulation of the ISDAfix rate, a benchmark used in interest-rate swaps. "Uncertainty in these benchmark rates is a burden on the marketplace," Turbeville said. "If their legitimacy is undercut, that's a burden on the productive economy." CNN Wires staff contributed reporting.